A short nicely filmed video about a 3 days visit on Athos and climbing to the top after spending the night at Panagia at 1500 meters. Unfortunately the next morning the summit was covered in a cloud but they did go anyway. Reaching the top there was a very strong wind but the lonely cloud did not move. A strange phenomenon. 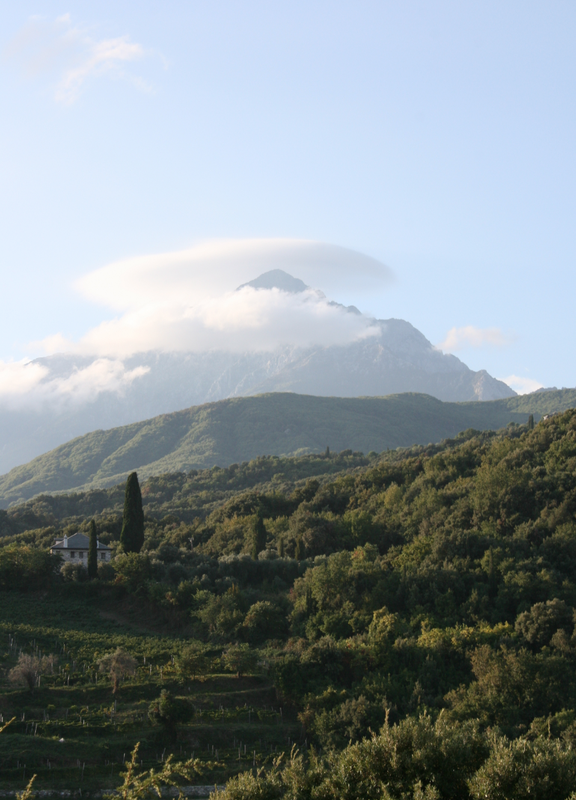 When we climbed in 2011 we were lucky that the sun was shining over Mt Athos, no cloud to be seen. This is the short impression I made when reaching the top that year. I promised myself not to climb the top ever again after doing it 2 times but now I am not so sure anymore. I maybe do it again sometime. It is a long very exhausting hike but it is special and the memories are great. 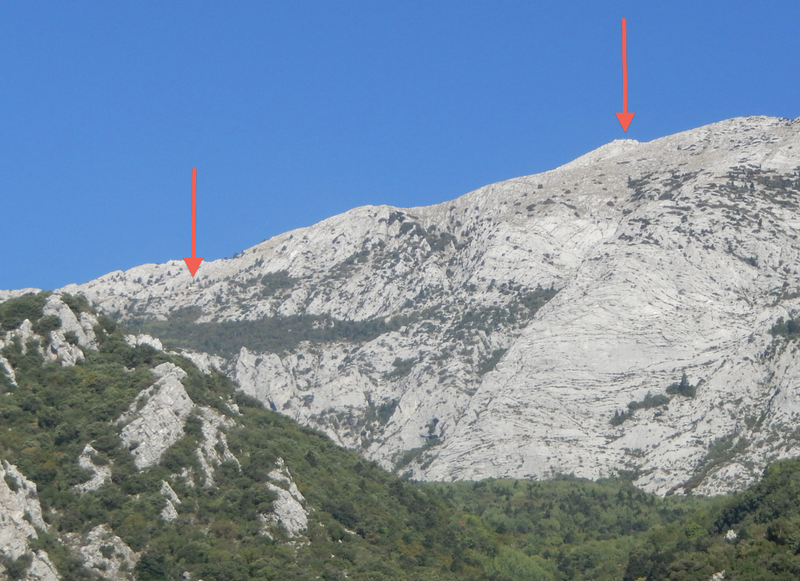 Panagia at 1500 meter (left arrow). The top at 2026 meter (right arrow). This entry was posted in mountain and tagged summit, top. Bookmark the permalink.